The Kowanyama service began broadcasting on 5/10/1992 and connected to the Black Star Network on 21 /9/2012. Kowanyama is situated on Western Cape York, on the Mitchell River, approximately 300 km south of Weipa and 620 km northwest of Cairns. Occupying 2571.9 square km, Kowanyama includes 18 outstations, some of which are permanently occupied. Kowanyama has a population of 1112; including the Kokoberra, Yir Yorant (or Kokomnjen) and Kunjen clans. The three main language groups, defined by their relationship to the Mitchell River, are (i) Kokomenjen (comprising Yir Yorant and Yik Thangalkl), (ii) Kunjen (comprising Uw Oykangand and Olgol), and (iii) Kokobera. Kowanyama Mission – formerly known as Mitchell River Mission – was founded around 1917 by the Anglican Church. In 1964 Cyclone Dora destroyed the mission and the state government rebuilt the community. Three years later the church handed control of the mission to the then Department of Aboriginal and Islander Affairs. The mission became a government administered reserve known as Kowanyama. 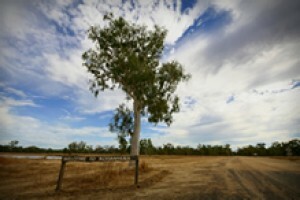 In 1987 the Kowanyama community was granted a Deed of Grant in Trust (DOGIT) over the Mitchell River Delta. Cultural and economic activity revolves around the Mitchell River, with its traditional story places and local fishing sites. Kowanyama’s community services include a health clinic, home and community care facility, a mothers and babies’ centre, Land and Natural Resource Management Office, state school to Year 10, a community education and training centre and a women’s shelter.